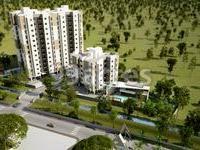 Pratham Riviera is a residential development of Pratham Enterprises. Located in the midst of Atladra, Vadodara, it is built across a wide area. These luxurious 2BHK and 3BHK housing units makes it a dream home to everyone. These apartments are beautifully crafted with modern amenities and is approved by Gujarat RERA. One of the promising localities of Vadodara, Atladra shares proximity to important city locations like Tandaja, Meghdoot, Manjalpur, Akota, Hinglot and Jambuva, among others. Vadodara is the commercial city of Gujarat and has emerged on the residential real estate front as well. Since the prices of the properties are not as high as compared to those in the metropolitan cities, it is very beneficial to make investments now. Good infrastructure, better facilities like transportation, employment, education and entertainment, and beautiful locations in and around Vadodara add to the real estate value of the city. What is the location of Pratham Riviera?The location of the project is Atladra, Vadodara. What is available flat size in Pratham Riviera? Flat sizes in the project range from 1207.0 sqft to 1638.0 sqft. What is total area of 2 bhk in Pratham Riviera? The area of 2BHK units in the project varies from 1207.0 sqft to 1216.0 sqft. What is size of 3 bhk in Pratham Riviera? 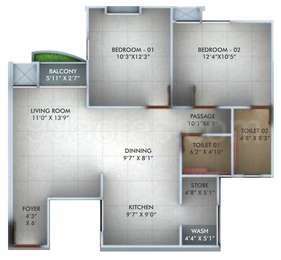 The area of 3 BHK apartments ranges from 1457.0 sqft to 1638.0 sqft. What is the area of Pratham Riviera?The total area that the project occupies is 6.35 Acres. What is total price of 2 bhk in Pratham Riviera? The price of 2 BHK units in the project is Rs. 2074496. Hi, Can I get some details of what all units are available with Pratham Riviera by Pratham Enterprises, Atladra, Vadodara project ? Pls update ? I need some information for 2BHK & 3BHK prize & Payment Details.